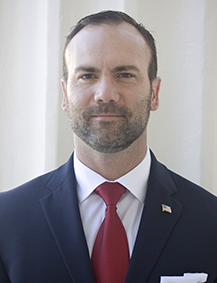 Mr. Ryan Allen is the appointed Chief Information Security Officer for the Office of Information Technology, where he leads the State of Alabama’s Cyber Security initiatives. Mr. Allen brings a wealth of experience to the State’s IT leadership team. Prior to this appointment, he served as Division Director of Infrastructure and Cyber Security for Children’s Hospital of Alabama, where he led IT operations functions for the third-largest pediatric hospital in the U.S. Ryan held a concurrent role with the UAB Department of Pediatrics as the Director of Operations, overseeing the Department’s IT and facilities efforts. Ryan has a Master’s of Science in Health Administration and a BA in Technical Writing from the University of Alabama, Birmingham, and also holds a CISSP, CPHIMS, and CHPS certification. He earned a Presidential Service Award for his time spent volunteering as a POST certified police officer and continues to work with local law enforcement on cyber-crime initiatives. Ryan is affiliated with numerous community organizations, including: Mentoring for the Holy Family Cristo Rey High School Corporate Work Study Program, serving as a Board Member of Lord Wedgwood Charity, and a participating member of the American College of Healthcare Executives and Health Information and Management System Society.